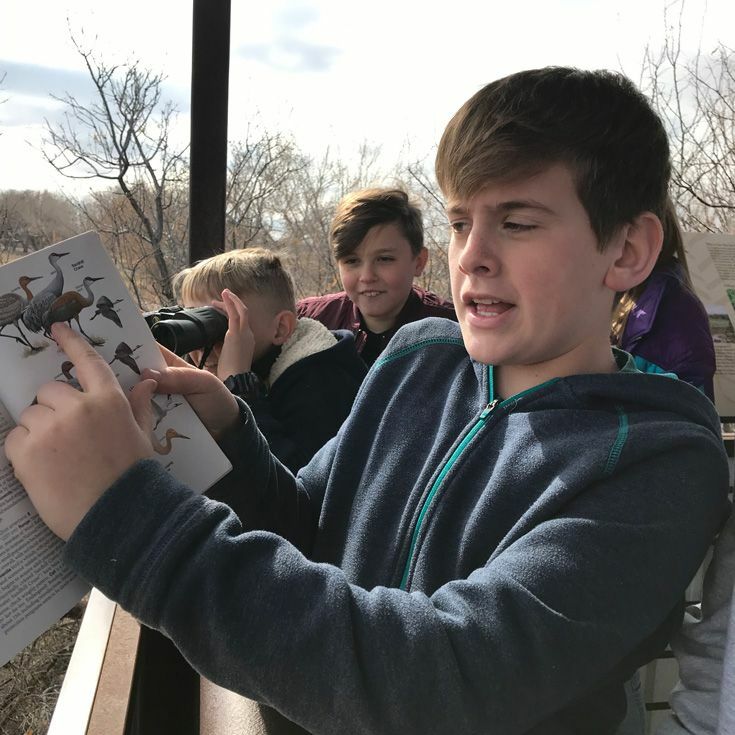 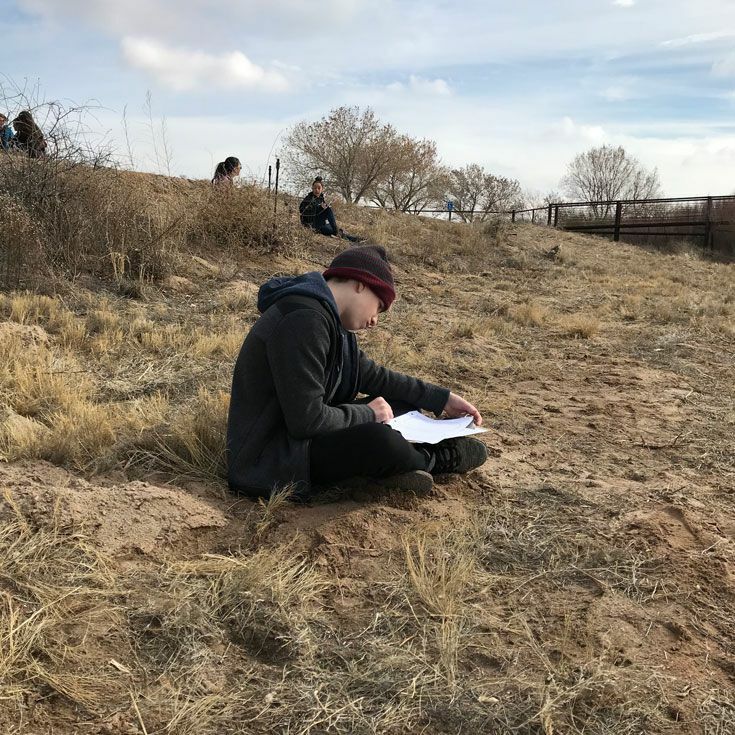 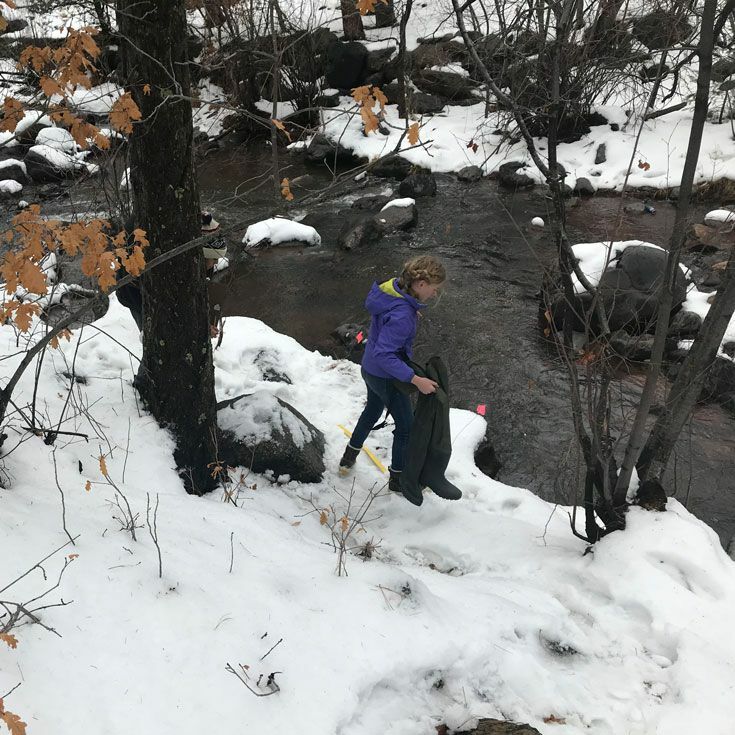 Seventh grade students were in the field over the last several days observing wildlife and collecting data as part of their monthly watershed curriculum activities. 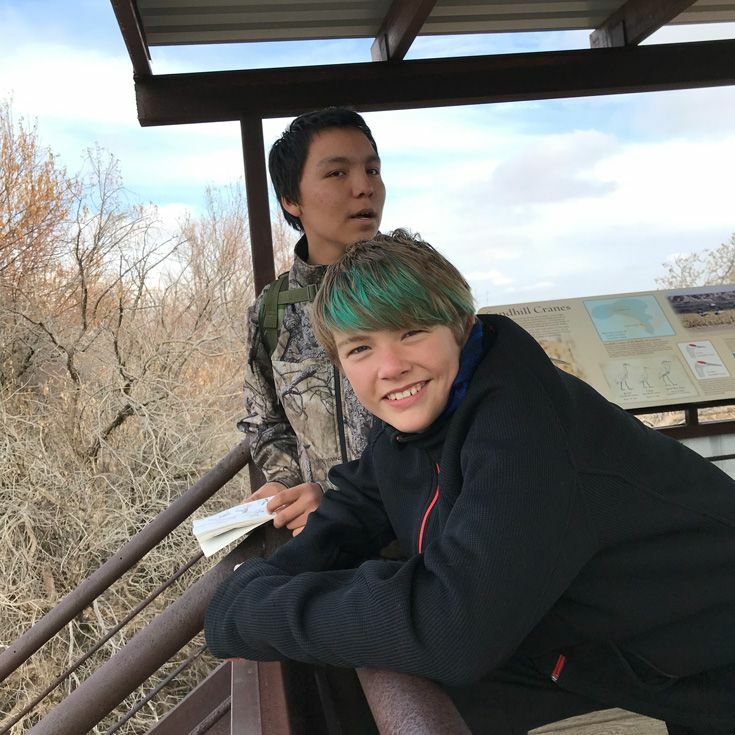 Two trips took them to Battleship Rock, where they monitored water quality and stream flow, and also to the Bernardo Wildlife Preserve where they were able to observe wildlife. 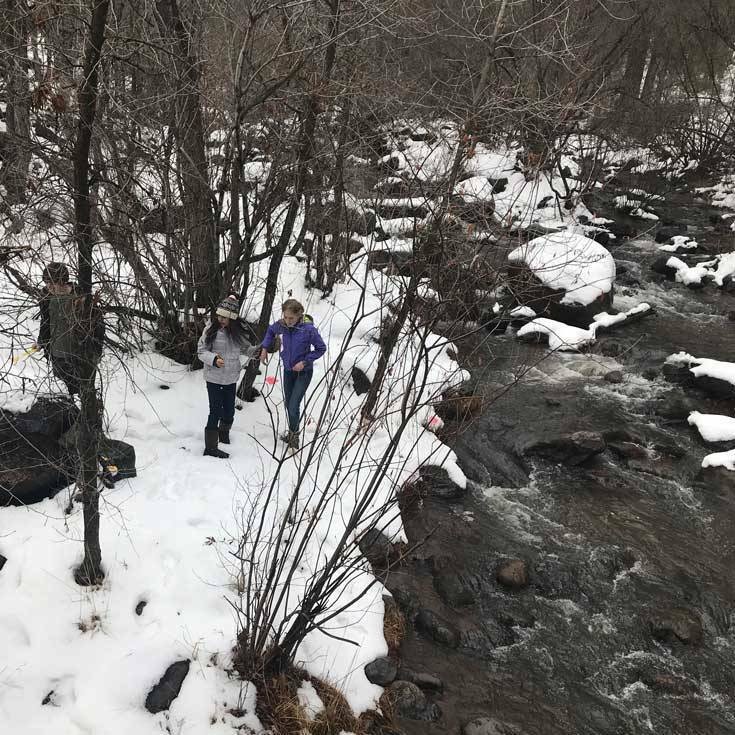 Beginning in 6th grade, Bosque School students dive deeply into understanding the Rio Grande and its riverside forest, the bosque. 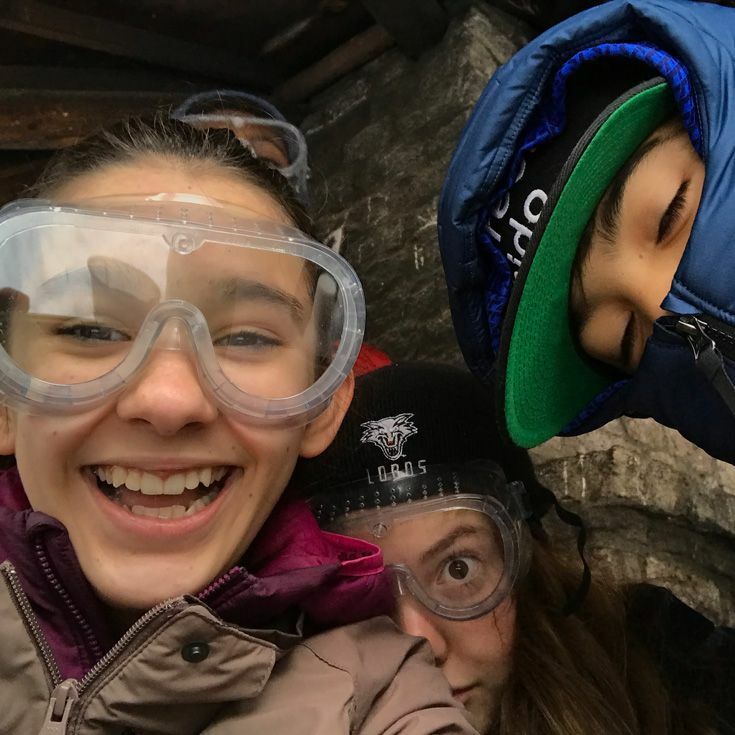 As part of their field studies, each 7th grade section performs watershed monitoring once per month. 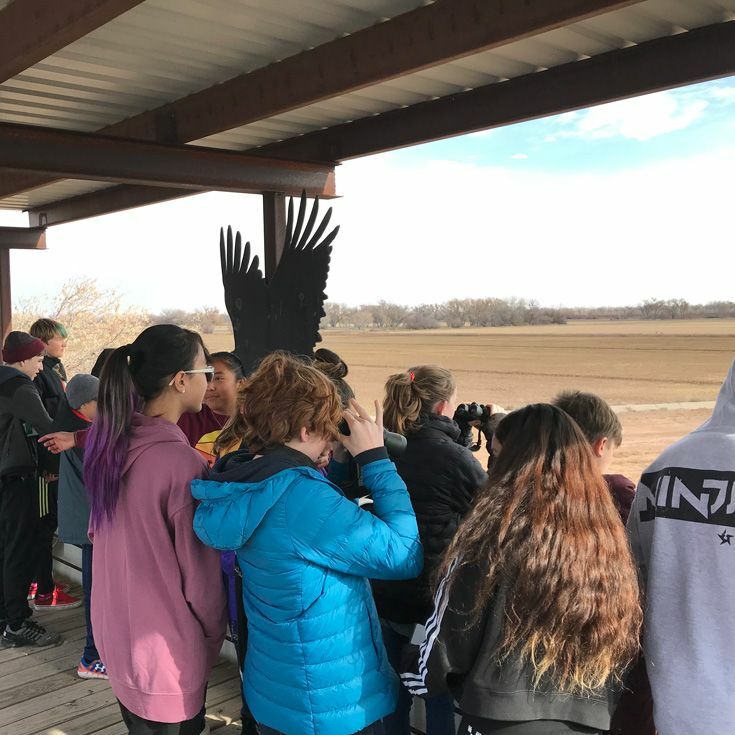 Collectively, the four sections participate in 28 field trips to specific monitoring areas over the course of a school year.